I am Captain Corbin and I perform interactive pirate themed magic shows. My shows are great fun, family friendly interactive experiences that get the children and adults involved in the show. Many assist with the magic and become part of the show. As a result, the shows are remembered. Magic pirate shows will engage the children and entertain the adults. I have been performing Interactive pirate themed magic shows for over 25 years. As a result, you can be sure of a great, entertaining show. I have become very skilled at entertaining a mixed family audience. My shows are full of audience participation and incredible magic. I like to think of my shows as pirate adventure shows. It’s not just a magic show, it’s a pirate adventure. A very theatrical presentation with a defined script that takes the children on a magical journey. 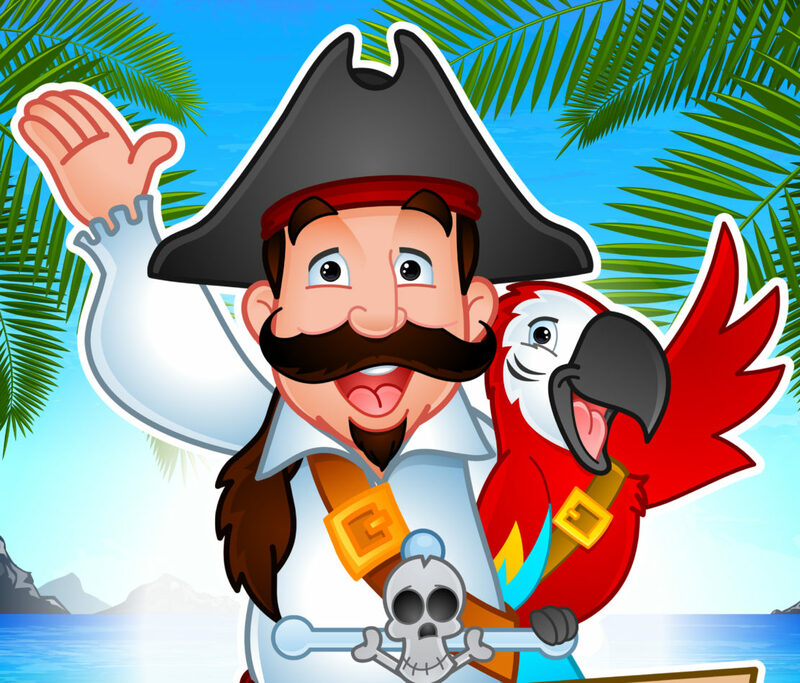 Captain Corbin the magical pirate arrives to your venue looking for treasure or a new crew of pirates and finds your audience waiting for him. After an exciting magical entrance and introduction, the show begins. Captain Corbin starts with great mind bending magic and incredible illusions. As a result attention is high throughout the show. Corbin teaches the children about pirating, asks for help looking for treasure and often gets the children to perform the magic. It is a great show and remembered for a long time after the event. Captain Corbin the magical pirate can add additional themes to the show. A reading / literacy theme, a recycling theme or just about anything else. 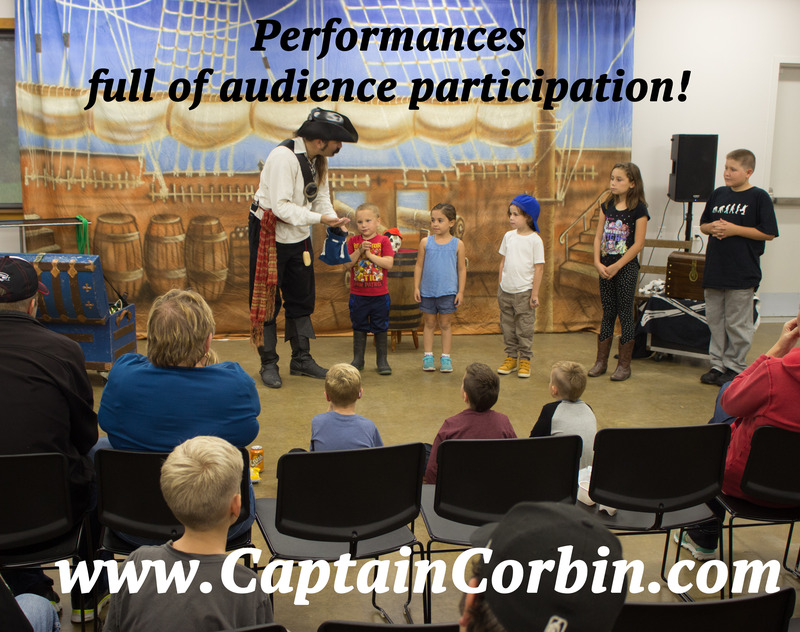 This summer Captain Corbin is presenting his educational pirate magic show with a water conservation theme. During March Break Captain Corbin will be presenting Oceans of Magic at the London Ontario libraries. The show can be further customized to suit your event. As a result the Interactive pirate themed magic shows are a perfect fit in any schedule. Captain Corbin books his entire calendar year in advance. As a result, it’s always a good idea to contact him as soon as you know your dates. Captain Corbin is a professional magician. However For over 25 years he has been performing at events all over North America. Shows are always family friendly and Captain Corbin never has any firearms in his show.